Race Kit Collection for 2013. Everly Hotel. That was playing in my mind after the race yesterday and how a few sign along the way tells me that this may be the very last Powerman that will be sponsored by Malakoff. I hope I am wrong, as the strong 2000 participants that showed up and brave the sun yesterday showed that multisports activities has gained such big following it will be a shame to see this die after 12 years. I hope i am just speculating on this as news i heard on the ground aren't too favouring the continuation of the race if Malakoff pull out from being the title sponsor. I know many Malakoff staffs will know and hold this fondly to their heart on how the their company has made and formed many duathletes and even propagated to have their own cycling club that does yearly CSR including the famed Interstate rides that reaches far and wide. What was started as a initiative to help young universities students to dabble in multi-sports via the Malakoff University Duathlon Series (MUDS) has seen the propagation of this world class event known as Powerman. It is an international circuit and it is not exclusive only to Malaysia. Malakoff in a very very big way, over the past 12 years of Malakoff Powerman Duathlon and 5 Runs, contributed a healthy competitive development of the sports that will NOT be the same without their name as the "Brand" associated to the sports. Perhaps Malakoff's management, if they are reading this (maybe), will come back as title sponsor. Don't let this legacy die! My registration was done late but it was sorted out eventually with the race organiser. The race expo this year was awesome. The hotel of choice were way better than last year and the organisation was top notch (as usual). I like the fact that the race briefing were playing in loop and everyone have no excuse not to know what was shared and told by the Race Director - unless you did not attend it ;-). Here are some photos to get things going. Well organised and race kit taken in less than 2-minutes. Past years' event T for sale. Closing of a chapter? Helly with wifey. Scarfit and Medal hanger galore from her small business! A more interesting item on sale for Muslim women that runs. Active hijab branded as Scarfit. Locally produced. Abang Razani also setup his mobile shop offering everything under the sun for Triathlon. The only thing missing in the carts he brought was a spare legs that has his power-output capability. This young man is super strong and put many younger men to shame on the race course! History made. Signed up as Pacesetters member with wifey. My daughter was negotiating a price reduction for group sign-up. Should had sent the boy instead. I've made up my mind when Ironman Langkawi was announced about two weeks plus ago that I will use all races as training opportunity. This simply meant going out to race and use it to improve and polish things like nutrition, transitions, speedwork and intervals. Using it as training doesn't meant I will not be serious about it - it simply meant nothing more than Zone 4 effort or lactate threshold effort (at this point of writing, nothing more than 164bpm). Reason for this is for me to be able to sustain my training regime without wearing/burning out. It was a tough decision to make, but one that needed to be made nevertheless. 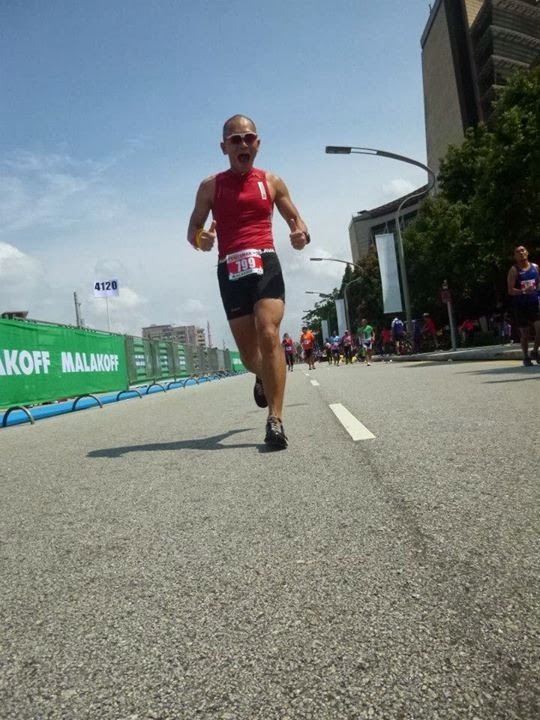 I have a boogie 4:04 timing from Powerman 2012 to beat - and i am fully aware of the level of effort it took me to reach that timing last year - heart busting and cramps on the bike. Over the past 1 year, much has changed training and race nutrition wise. I've been skeptic on race nutrition and much has evolved since, however, things are kept to a limit (nutrition wise) as the main powerhouse is still the body. For this training session, I've prepared these, and you can use it as a rough guidance if you see fit. Pre-race : 1x Perpetuem Solid, 4x Endurolytes, 2x Anti-Fatigue. 1x600ml HEED sipped an hour before race start. T1 : 1x Perpetuem Solid, 2x Endurolytes, 1x Anti-Fatigue. 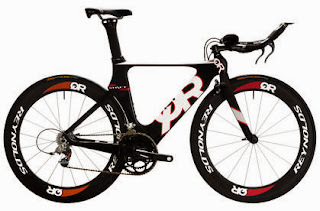 Bike (KM0-KM34): 1x HEED in aero-bottle. Bike (KM34-KM64) : 2x Endurolytes, 1x Anti-Fatigue. One serving HEED to be mixed with water at KM30-34 Water station into aerobar bottle. T2 : 1x Perpetuem Solid. 4x Endurolytes, 1x Anti-Fatigue. Hydration rule of thumb - Drink between 500 to 600ml of liquid per hour. Stay hydrated. It will get hot in Putrjaya. You will notice my nutrition are devoid of GELS. I am taking Perpetuem Solid at Pre, T1 and T2 where I can chew it while wearing my shoes, helmet and such. With gel, you will need to tear it off, take it, drink water and go. So, turning to Perpetuem for me is a way to fine-tune my transition routine. Every minute spent in Transition is a minute wasted (so to say, but I am far from podium ya). In the spirit of KISS at Transition, you need to keep things to minimal and simple. It is a fine tuned routine that you will know exactly what is next as you enter T1 and T2. Many multi-sports athlete do not practice this enough to remember and end up spending too much time and getting all worked up when things don't go their way. I have the shoes I will use for the run sorted. It will be the GoMeb and the GoBionicRide. Both will be sockless. Decision to use two shoes were from previous experience where the first run soaked my shoe and it was uncomfy to be used the second time around damp. For tracking will be the Garmin 910XT with the HRM on as I want to know what level of effort I was training in. The Camelbak bottle were to put the drinks before race (see PRE above) and to hold my post-training drink. Many forget to recover correctly after a training or race and that spell disaster for many wanting to prolong and sustain a training program. My spare tires (the bike, not my waist-line) are folded and placed together with my CO2 canister and head in a cut-away bottle placed on the bike. It is ONE thing i hope I won't need to use in any training or race. Drinks will be from my aero bottle as I've trained myself to use/rely on it for bike ride less than 90km with sufficient water stations. The organiser has informed of two water stations per loop and that alone was suffice for me. Lastly, make sure the bike number is correctly secured (as some does such a bad job with stickers the numbers fly out halfway) and that your race bib is attached to your race belt or shirt. I prefer race belt as the position also help to cover my crotch region when wearing tri-shorts (I am modest like that lah). All the above are checked-rechecked and packed into the transition bag. You can't risk to forget anything - not when the race and your home is a good hour drive away. Last thing to do before retiring at night is to make sure you set the alarm. For this race, multiple alarms were set. Wifey helped with the logistic with the boy that will be following us to Powerman the next day. We left our small girl with her grandparent. Everything, short of the Hammer HEED that will only be mixed the next morning, and the bike, has been placed in the boot of the car. There is no excuse to miss out on anything. 4:15am. It was a good night rest between 11pm to alarm rang. Showered and has decided to use the tri-shorts and not the Kraftfit compression shorts I have as I would need some sort of padding on the bike. Lucky for us, our kids are easy riser and they sort of get themselves ready with a shower and change. By the time i loaded the bike on the car, mixed my HEED and put it into the Transition bag and loaded up a mug of black coffee, we were ready to roll. We arrived Putrajaya in about 45mins and passing one accident scene at Puchong where some brilliant chap drove up a divider. I guess he/she could had felt the tremor from clubbing still. Haha. I took a 10mins shut eye in the car upon reaching. The organiser went one up by arranging for an open car park, secured with RELA and right next to race start with the race secretariat next to it. Thumbs up for that thought! The transition area this year was a looooonnng stretch. It is easily 300m end to end I believe. Almost 2000 participants will be racing the full, sprint and relay and security were tight. Walking to my 799 spot, i realised it was at 3/4 end of the transition. Making mental note that it will be a long bike in and it will make sense to remove the clips and push the bike in running. That would also meant my transition time will be easily 2mins just running to my spot. It will be the same for everyone, so that is normalised. First person i bumped into was Kok Aik. Fellow Ironman and FamilyMan. Learnt a lot from him with regards to priority with family, sports and work. Thank you for sharing. My first official roadbike was bought from him, which sort of marked the start of the friendship since 2006. Chloe (above) is an inspiration. She is fighting SLE or Lupus. There are up days and down days for her I guess. I can relate to SLE as i lost one uncle and aunt to the disease about 20 years ago when the treatment wasn't as advanced as now. Then, it was bumping into Dave Spencer, which just recovered from a broken ankle/shin and Robert whom I just met about two weeks ago in Bukit Kiara (I have to stop picking up Mat Salleh in the jungle). Reaching my spot, Roy and Yim were walking towards starting line and we exchanged light banters and jokes. I've always love these races where friends show up to race and it is like a big gathering of sort. Roy is my fellow 2ndSkin teammate. He is a stroke survivor and Ultramarathoner. Yim need no introduction as he is known to eat ultra runs for snacks. Men In Tights. Say you love them. Transition was setup and items were placed out at my bike and sorted according to use basis. The area were well lit and the surface carpeted. Transition will be clean and muckless when compared to Powerman in Lumut on the stadium field. Take note of my arrangement; T1 food in the biking shoe, so I would need to remove the food before wearing my shoe, which essentially remind me to take it. T2 Shoe behind on the bag and to be placed in the front when I take the bike for fast T2 later. Food for T2 in the shoe (black GoBionicRide). Helmet placed on tri-bar and secured by the existence of the straw poking through it. Once that was all sorted and bib number secured on the waist, we started leaving for transition and I needed to get to the gents to pee. But there is always a last photo with fellow Old Puteras (OP) that was taking part. Missing in the photo below is OP Ramzul, OP Fariz and Senior-OP AJ. And The Way We GO! ...Which actually took me by full surprise. Haha. You see, I was looking for a toilet, only to find out that the organiser prepared shower booth. By the time I found a toilet, I heard the Kannan and Adele (the Organisers and MC) announced "ONE Minute to START!". It was a WTF moment for me as I abandoned all plans to pee and sprinted to starting line. I started my Garmin on Gun-off and I was easily a minute behind by the time I reached the other side of the starting arch. Saw wifey and did not even kiss her before I started the race (!!!). I started right at the back of the pack literally and slowly find my way to the middle pack and headed to the front to escape the crowd. I was doing a 4:05 pace due to the excitement and realised I am running a bit too fast. First loop was done in about 22:10 and I knew it is a matter of time before i have to pee. It finally happened at KM7 behind some trees (and hopefully away from other's eyes). 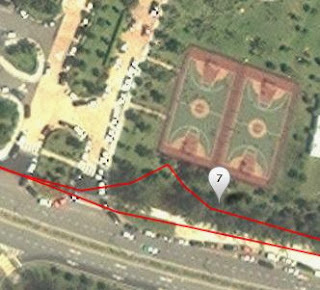 The first 11km was completed in 50:30 (Elapsed time). On Garmin record, the moving time was 49:47, meaning I peed for a full 45 seconds? Wah! The 50:30 was faster by a good 2 minutes compared to 2012. Time to slow down and have some fun. Going into T1, I started to recall the sequence of things. Helmet - nutrition - HEED - Shoe - Bike Out. As I exit, I was stuck behind a group of participants pushing their bikes slowly out. Another participant were making way across them and i follow suit. I climbed on the bike and started to pedal away. Legs felt good and soon, I was cycling among the Sprint participants. Understandably, many were first timer and some were cycling abreast of each other going slow. A few of us swerved out of the cone to get ahead and luckily, many gave way as I shouted "Bike on RIGHT". I slowly got ahead of the slower bikers and managed to hold onto a good decent cruising speed of about 33-35km/h. At some section it is slightly downhill and that was when it was used fully to gain speed to climb up the next road/slope. Typical of highway configuration where the elevation is steep, one need to be able to read the changes and be prepared with the gear changes. What irritated me the most were drafters. I had a group of about 3 to 5 participants leeching behind me when they clearly know this is a NON-DRAFTING race. Not only is it dangerous, it is also un-sportman-like as you are riding in another draft, which essentially saves you energy. I braked twice and told them off - and some had the cheek to scold me for braking suddenly. I should had halted to a stop then! Here is the ironic part - i came past transition and a spectator actually shouted at the bike behind me "NO DRAFTING!" but that chap behind me held close until i slowed down to let him pass. In the same frame taken as above, this one by bro Fairul. Another biker coming close behind! The race continue and Loop 1 of the 64km were completed in about 50minutes and I knew I was going too fast. Had to hold back and maintain a slower speed and keep to the plan. Loop 2 saw the speed dropped to 30km/h average and that was when I started to lose a lot of position to many others I've lead in the start. Concentrating on the cadence and trying to understand my 9-speed TT bike better, i used it to make sure i get maximum out of the day under the sun and road riding. I was at my LTHR for biking (142bpm) which meant it was starting to be a hard workout. But it is all good. I came into T2 and finished the biking in 2:05. Took a minute to remove my clips and ran into spot 799. Again, T2 plan played in my mind : Bike racked - helmet off - nutrition in mouth - HEED - shoe on - Run out. Not too tough. I am getting better at my transition. Compared to 2012 where i completed the 64km loop in 1:58, the 2013 saw me coming in a whole 10 minutes slower. Coming out of T2, the legs already felt fresh and recovered due to the light run to bike rack. Having been training on BRICK, the jelly-like feeling is a thing of the past. I found myself being able to pick up and run again at my usual speed. It was scary as I was moving at 4:15 to 4:30 pace in the first 2km and had to slow down else I know it would not be too pretty. Though the legs felt good and the heart rate stayed low. The sun came out in full scorching glory and I know i would need to start getting myself to get wet to stay cool. Training as it may be, burning out with a heatstroke will not be fun. Loop 1 of the final 11km! Loop 1 was done in a slower 28:56 compared to the first Run. The run started to be slower paced as tiredness seep in. I found myself dropping to average of 5:30 after the first 5.5km (loop 1) and the fun did not stop as I continued to clown around whenever I can. Keeping good pace for the second run, it was shower time at every water station after Km6. As captured by Arman of Team PACat. Thank you sir! As it is, all good thing has to come to an end. I ran to my 6th Powerman finish in 7th time participation. It is not an easy race when it seems the organiser never failed to get bright sunshine on race day every year. They may be using the same bomoh as Sepang F1. It was a good feeling, as I know I can definitely do better taking into consideration I did not push past my lactate threshold heart rate. The second run finish plus T2 was 2 minutes slower than my 2012 finish. But there was nothing shy of it. Last year Kannan predicted I will do a 4:30 timing and i went to clock in a (PB) 4:04. This year as I blazed through the first run, he said 3:30. I know personally a 3:45 is very do-able if i set myself into racing pace. I could easily shave time off from the first run, the bike and the second run if i allowed myself to. Many asked why I did not. My only answer to it is I need to train tomorrow (the next day after race) and stick to the plan. I treated the Powerman as my training and it was done at a cool 143bpm average with a lot of spare in the tank. I believe I have found my limits and how to push it. - Adequate water station on the run, approximately every 1.25km. - more than sufficient water station on the bike. Why bring two bottles? - Whole lane blocked off along the main road, allowing more space for bikes to pass compared to 2012. - Shower stalls for after-race clean up! - Love this year's medal design. Best among all the years! - Good control at finishing medal and t-shirt collection. - Good security at bike transition and also car park. - Drafting seems to be a norm among many cyclists with at least (spotted) two trains that were moving at 40km/h. - A bit slacking at the ribbon give out point at KM4. Some were seen taking two ribbons/more and the people were seen giving out wrong color code (supposedly yellow-yellow Run 1, and red-red Run2). Some runners were seen with yellow and red ribbon after run 1, no way to determine if they ran the full 2 loops correctly. - Finishing Marshall should check/demand for the ribbons. Every participants supposed to hand in 4-ribbons. If none, that is clearly a violation. If a participants found out they drop one, they should go back and get one more. It is only fair, else, no point having the ribbons. As I finish writing this, the official results is not out yet. I reckon, after adding up all the elapsed time of my own race, it was a slower 4:07:59 compared to 2012 4:04:15. A good 3 minutes out but it was a good 35% less effort compared to 2012. The effort and proper training I put in the past 1-year is showing results. It took a lot of hardwork and sweat. Most of all, it took a lot of learning and understanding my own body and limits. 1. Top : 2XU top that has been in service since 2008. 2. Bottom : Zoot tri-shorts, in service since 2008. 3. Shoe : GoMeb and GoBionicRide (Run 1 and 2 respectively). Sockless. 5. Nutrition : Hammer Nutrition primarily Perpetuem, HEED, Endurolytes and Anti-Fatigue tabs. 7. Camelbak Podium to hold my drinks in Transition. 8. Rudy Project Noyz. Yes, I was "color coordinated". I've posted 600++ photos here : TriStupe Facebook Page ("LIKE" it if you want). My wife were the official photographer for me as she say I should try "racing with no camera". I felt naked. Lastly, thanks to Mohan Marathon humor, and Louis Ong's capture...this photo of me on the bike showed what fun we had on race day. 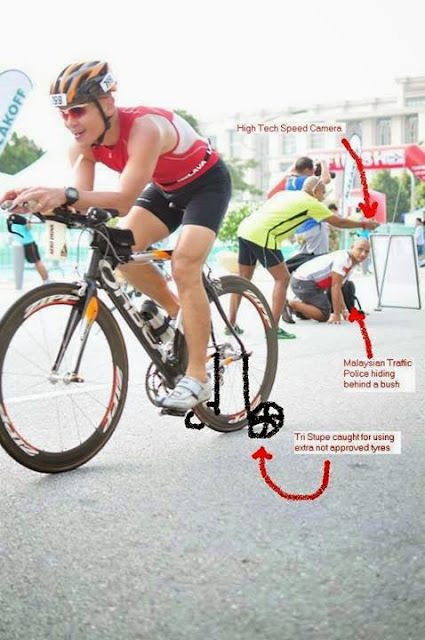 At this year's Powerman, the "Authorities" used the latest high technology to make sure no one cheated. Instead of hiding behind 'bushes' like the Malaysian and Singapore Traffic Police, the "Inspector" -( Hafidz Abdul Aziz ), hid behind a sign board. Instead of installing hidden speed cameras, they borrowed my Olympus TG2 with high shutter speed. Wait for the official results to be posted soon! Results of the race is available on Oct 29, 2013 as of 12noon. My results compared to my Personal Best (PB) of 2012 per below. Initial calculation of 4:07:59 was close to the official NETT time of 4:07:42. Gun time was 4:08:30, with the differences due to the Toilet Rush. I improved on the first run, which was expected and went slower in both the bike (by 6:44) and the second run (by 1:50). My Transition time improved by leaps and bounce shaving off a full 2:01 total (T1+T2). Position wise (percentage of Men Age Group 30-39) dropped by 1.9% but overall men improved 0.4%. Thank you to all collaborators of 2ndSkin (Skechers, Garmin, Hammer and Kraftfit), Camelbak (since i am an ambassador) and to Quick Release Adventure (Melody, Adele, Led Ye, Kannan) and the volunteers, for the race and organisation. Sponsors of the race and least but not least, Putrajaya Holding to allow the use of Putrajaya. ps - looking at my pre-amble write up above, will you agree with me that it will be a shame if Powerman will not happen after 2013? Share with me your thoughts! 45 seconds of peeing... that must have been some severely held in water! Yes, it would be a shame if this is the last Powerman. You know, I have not competed as an individual in Powerman before, just didn't get the chance to. So I hope it is here to stay so I can compete someday. But can also. Afterall, loser buy icecream ok? It will be a pity indeed if this and MUDS get discontinued. I always see this kind of races as community events where we know and (even if we don't), we encourage each other along the way, stark contrast to the more commercial and popular events around us. The volunteers, photographers and supporters of the day were absolute angels, i believe we all ran faster everytime we get pass the main Start/Finish area! Congrats on the results! Race on! Stupe Powerman Duathlon...it doesn't sound...right. yes, indeed will be shame this is discontinue. I have yet to did my full powerman, signed for 12 7 13, but due to injury and hv other urgent appointment, I DNS. Tristupe, will need to refer to you more on race nutrition. I know I can't take power gel & 100plus, sure muntah. Got to try out others. See u in other races. Steve - We all race as a passion. When other things takes more importance, DNS is OK. Please let me know what and how I can be of assistance. Race nutrition is a fine balance and many think taking them will make them stronger and faster. Even the experienced makes mistakes with this. Will be more than happy to share. Nizam - I am very happy that you did well in your SPrint. 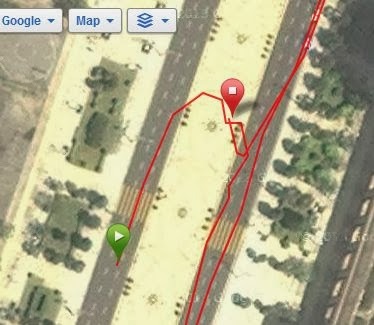 2:22 is good stuff which meant you ran the 5.5km in about 35mins each and the balance were on the bike. I say that is very good effort. Keep HIITing and one day, you will look back and see how much you have improved. Sub-1hr for 10km is very do-able. :) Keep training! Some clothes simply accentuate the negatives of any body, but you don't have to wear those clothes. There are better options for females that will leave you cool, stylish and able to exercise in comfort.